Award winning Interior Design Service. Lana Dullaghan Designs offer a full range of interior design services nation wide, for residential and commercial projects. Our personalised approach, with attention to detail transforms those concepts into reality, while creating a home that is unique and suits our client's style, personality, and lifestyle . We are helping businesses to make their interiors attractive to the customers and to help their business grow. We will work within your budget, providing step by step guidance. Please feel free to contact us, we here to help! At Blakely Interiors, we provide a full interior design service to assist you through any project from concept to completion. Based in Banbridge - we are passionate about many things; quality, service, craft and exquisite interior designs. Specialising in upholstery and soft furnishings, we have one of the largest textile libraries in Ireland including designer collections for printed fabrics, weaves and wall coverings. We also produce bespoke furniture, flooring and other accessories on-site to ensure a quick turnaround within local and surrounding areas. Get in touch with us today to discuss your design ideas and arrange an initial consultation. We look forward to hearing from you! Ebony Rose Interiors established in 2006 by Interior Designer Haley Curran, has since then grown and developed and now boasts one of the busiest and best stocked retail interiors showrooms in Ireland. Ebony Rose Interiors product offering is wide and varied. From high end designer fabrics and wallpapers , stunning pieces of furniture and rugs to cushions and candles. “We aim to have something for everyone”. The busines started in 1998 by Angus and Gary. Two experienced painters and decorators and good friends. They came together to offer their services directly to the client, eliminating the need for a middle man. They pride themselves on having the highest standards of workmanship and have built built up a large base of repeat customers. MAC Decorators are CSR registered decorators and are fully compliant with all HSE legislation and practices. They are fully insured which means you can expect a fully professional service at all times. We cover the whole of Northern Ireland, and have also undertaken contracts as far away as Dublin. Robertson Painting Professionals was formed in 1997 by company proprietor and Managing Director, Sean Robertson. Thier company began trading in Ireland in 2001 and since then they have worked on commercial jobs for Siemens Ireland, Reid Furniture, Roganstown Country Club, Balbriggan Dental Surgery, Bubbles Creche, Bright Beginners Creche and many other shop fronts. Thier expert team of Painters & Decorators boast some of the most experienced professionals in the business. They are available inside and outside of normal working hours to ensure you can get the services you require. Whether you need domestic decorating services to be carried out during the day, or office refurbishments after working hours. A click away from creating your home interiors. We are an online source for you to browse our inspirational room designs and buy with confidence. These two closely related professions are often mistaken for the same thing, however there are some significant differences to be aware of before deciding which to hire. An interior designer, sometimes known as an interiors architect, can run full renovation and structural design projects, and will use specialised knowledge of interior architecture, construction systems and components, building regulations, materials and furnishings to arrive at your dream home design. Interior design companies are able to plan spaces and room functions down to the last detail, and can help design and renovate interiors, from initial planning phases to placing the last decorative accessory. A decorator on the other hand will typically be involved only in the aesthetic layer, the “look and feel” of a space, and won’t be able to assist in renovations that require structural work. 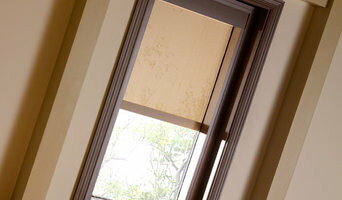 Interior decorators normally come on board after all structural work is complete. So choose your Dundalk interior designer according to the type of work you need. Why should I hire an interior designer in Dundalk? They say life is what happens while you’re busy making plans. Some of us are just too preoccupied with a career and/or family to think about colour schemes, wallpaper, flooring and lighting. A professional interior designer in Dundalk can save you bags of time, stress and months, if not years, of living in a half-finished home. It’s their job to stay on top of the latest trends and to have contacts and visual references coming out of their ears. Interior designers and decorators can also save you money, sourcing products via trade contacts or offering affordable alternatives to blowout iconic designs. How do I choose the right Dundalk interior designer for my home? Good design and visual inspiration are all around us. Start by searching for interior architects and interior designers in Dundalk on Houzz. Keep a lookout for images of rooms and features that you really like and save them to your Ideabooks to begin to develop an understanding of your own style and taste. If you notice that photos from the same interior design companies are popping up regularly then that is a good hint that they could be your perfect design match. 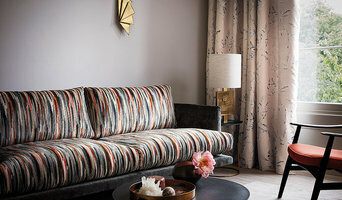 You can feel most confident if you hire an interior designer or interior design company in Dundalk that has completed work similar to the look and feel that you desire, whether that is a mix-and-match lounge oozing mid-century modern style, a pale and interesting minimalist bedroom with shots of colour, or a beautiful space inspired by Scandinavian design. How much does an interior designer in Dundalk cost? What are some of the important questions to ask Dundalk interior designers or interior decorators? Start searching for an interior design Dundalk professional in your area who can bring life to your interiors and reinvent your home for you. 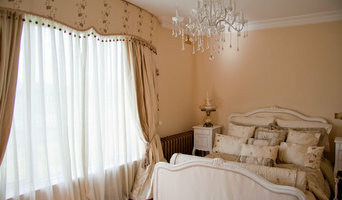 Look through reviews, projects and ratings to decide on the best interior designer in Dundalk for your taste and style.